Everyone has been talking about the 7th installment of Star Wars that is due to release mid December. Texan Daniel Fleetwood might be the first fan to see it though. 32-year-old Mr. Fleetwood from Spring, Texas and has been diagnosed with a terminal connective tissue cancer called spindle cell sarcoma. In July he was told he only had 2 months to live. His dying wish is to see Star Wars: The Force Awakens which he doesn't believe he will make it until the theatrical release date, December 18. He told NBC affiliate KPRC, "Judging by how progressive the disease has gotten in the past town months, I really don't think that I'll be able to make it." JJ Abrams granted a similar request in 2012 to Star Wars fan Daniel Craft and the film, Star Trek Into Darkness. Mr. Craft died shortly after. 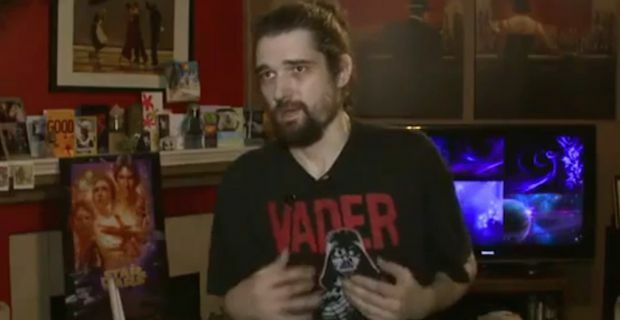 He has asked Walt Disney Studios and director JJ Abrams if they will grant him his dying wish and has started an online campaign which has gone viral with #ForceForDaniel. Actors Mark Hamill who plays Luke Sywalker and John Boyega who plays Finn have both re-tweeted his request.